Every few years my family gets together for reunion. Two reunions ago we decided to have shirts made, but didn't know where to start. Finally everyone decided on a company that handled most of it, but I think The Adair Group would have been a perfect fit for us. The Adair Group is a family owned business. We have been selling wholesale t shirts in Atlanta and throughout the country for over 50 years. We are proud to offer quality products at the absolute LOWEST prices in the industry. As you can see here, the prints can be done on Adult Tie Dye T-Shirts or Kid's Tie Dye T-Shirts . The t-shirt is high quality and fits like any other regular t-shirt. No worrying about "well, I normally wear a Large, but maybe I should go a size larger?" Yeah.. None of that! 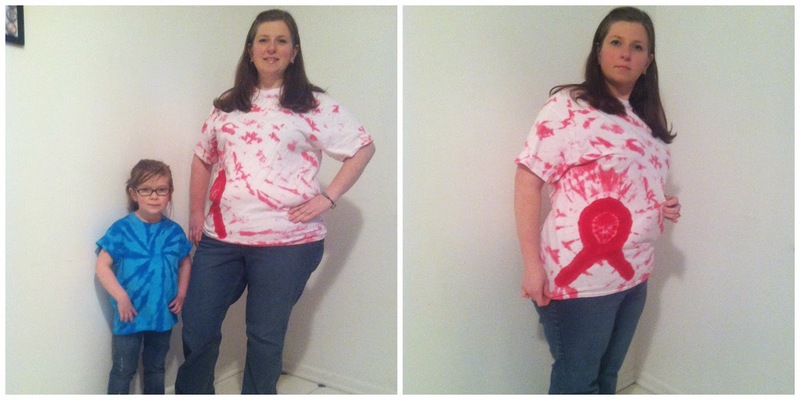 The Adair Group offers a Breast Cancer Awareness tie dye shirt that I felt I must have. A very dear aunt is in the middle of her fight, so I thought this shirt would be perfect for me to show a little support. Plus it's super cute! To show you one last style they sent, I got ready for a little summer! This tank top is a lot of fun! The fit is comfortable, especially around my shoulders. No saggy arm fabric here! As you can see, I really enjoy The Adair Group and what they have to offer! My friends and I may use them for a Girls Weekend down the road! Can you think of a reason NOT to use The Adair Group? Disclosure: A special thank you to The Adair Group for giving Sweet Cheeks and Savings this opportunity to work with them. We received these items free of charge from The Adair Group. No monetary compensation was received or offered, nor were we under any obligation to write about this product. All opinions expressed are honest thoughts. We were not offering any sales or taking orders for this item. We will not receive any compensation in connection with any sales of this item. I love the bright colors! Tie-Dye is so cool! Those t-shirts are great. I like that they are true to size, too! That always makes it easier, right? I love those beautiful bright colors and the tye dye style. Looks like you and your kids wear them well! I love that the tee shirts run true to size. I hate ordering things and finding out once I get them that the sizing was way off. I'm in love with these T-shirts I'm so going over to check them out. thank you. Those are some pretty trippy shirts! I tried my hand at tie dye this year and it didn't come out nearly as cool as those! Very cool! Y'all look great in your beautiful and colorful shirts! I especially love that pretty tank top you modeled. I'd forgotten how different the designs could love from each other. Loving those shirts! I bet the kids enjoyed them. 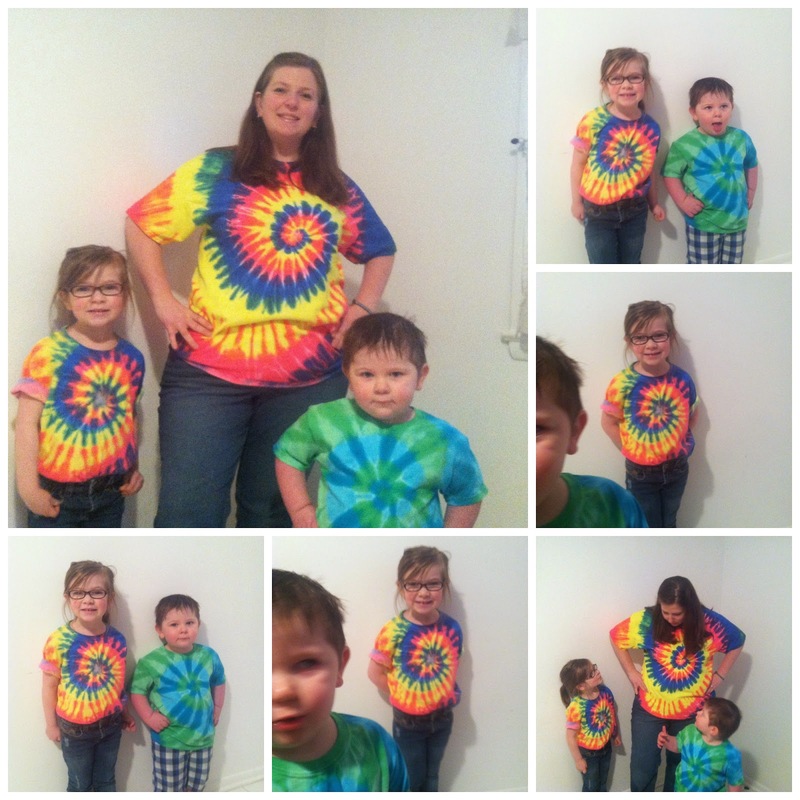 I don't know why but my kids just get super excited and have fun with tye dye shirts. They really are cute and I love that the kids got theirs too. :) The tank is my fave! 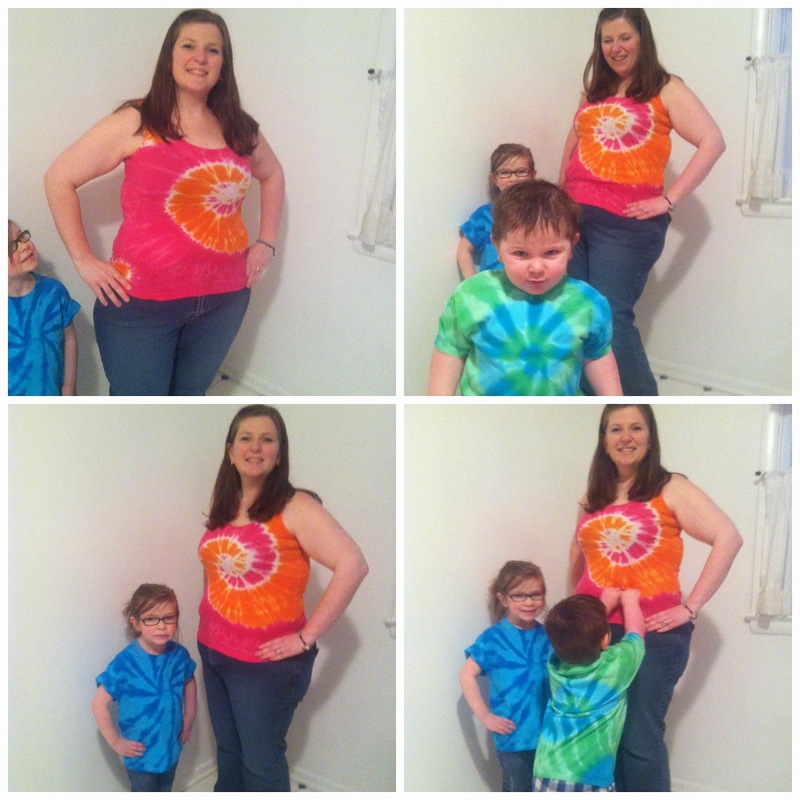 I love tie dye shirts! These are really cute and look super comfy! Those are such cute shirts. I love the way the tank fits. I love tie dye shirts. You and your family look adorable! how much fun to have t-shirts for a reunion! Great fun colors for the shirts! I've never atually had a tie dye shirt. Their colors are great, I love the green and blue. You guys look too cute in your shirts! I love the tank top one. Makes me wish summer was here! Tie due shirts are so fun! I really love the tank top! Super cute! I am diggin' the tank top! It looks great on you & the breast cancer awareness shirt is cool, too! Love the pink and orange tank top! And love the little guy's funny faces, how cute is he!! Those are really cute shirts! Love all the vibrant colors!